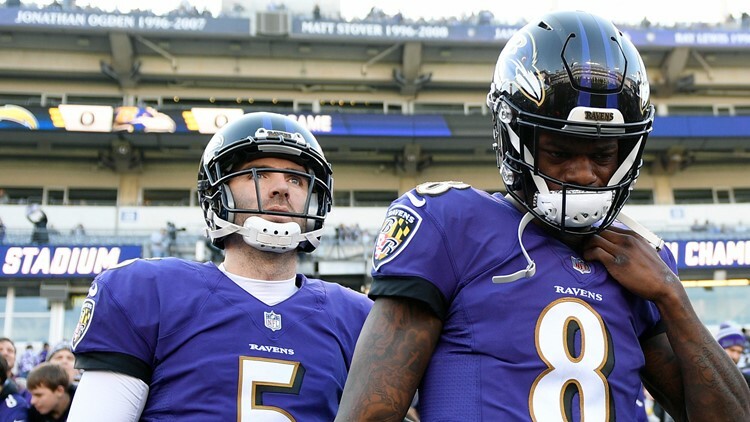 Flacco, the MVP of the 2013 Super Bowl, became expendable in Baltimore with the emergence of rookie Lamar Jackson. ENGLEWOOD, Colo. (AP) - A person with knowledge of the deal tells The Associated Press that the Denver Broncos have agreed to acquire Baltimore Ravens quarterback Joe Flacco for a fourth-round pick in this year's draft. The person to the AP spoke on condition of anonymity Wednesday because neither team announced the deal, which was first reported by ESPN. NFL rules prohibit teams from discussing trades until the start of the league year on March 13. The Broncos found themselves in the market again for a quarterback after Case Keenum's middling debut in Denver last season, when he threw for 18 touchdowns and 15 interceptions. The team went 6-10.